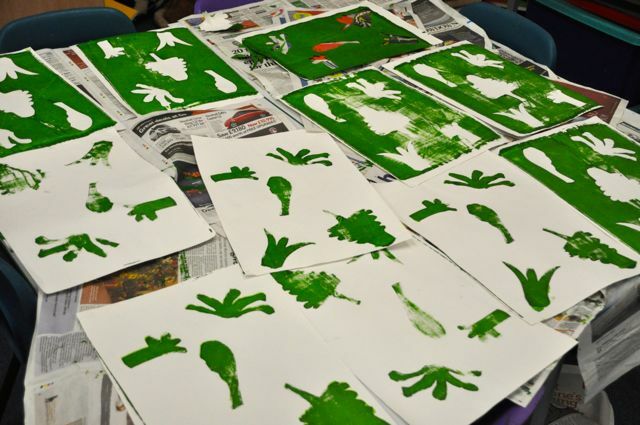 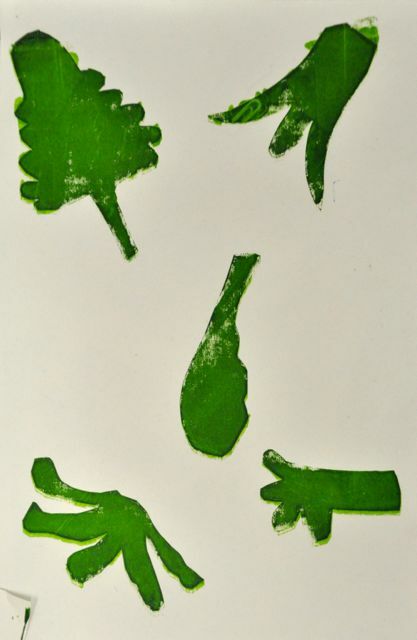 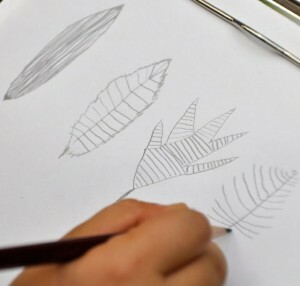 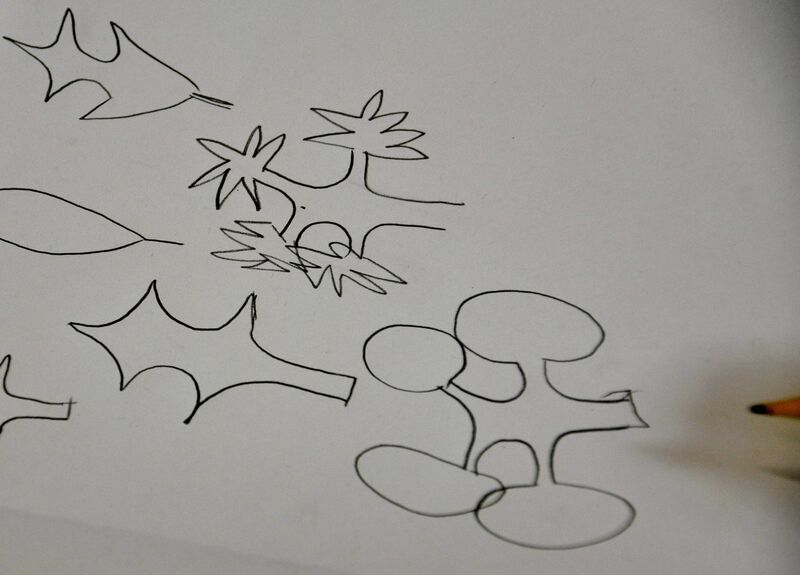 This term we have been looking at organic shapes, that originated from our drawings of leaves. We have used different printing techniques to create different images. 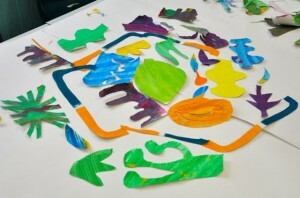 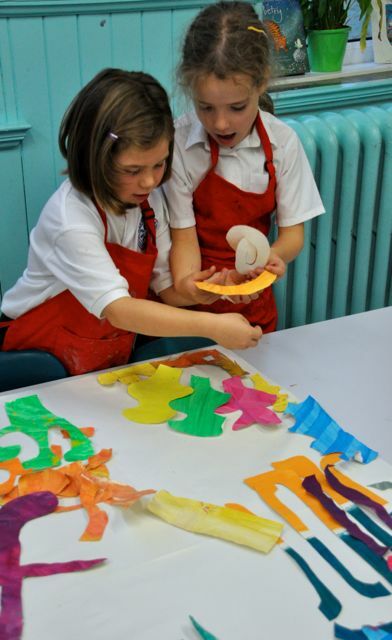 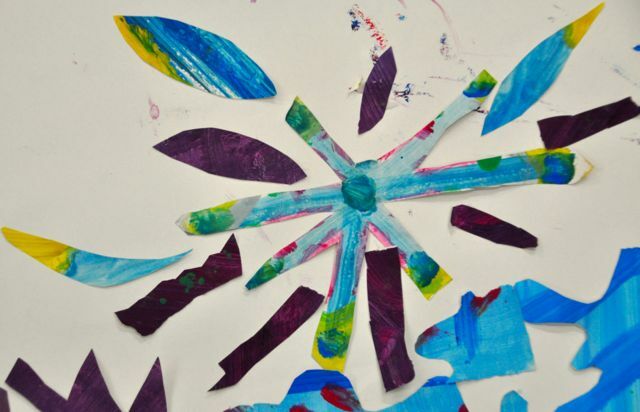 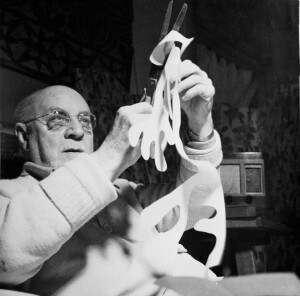 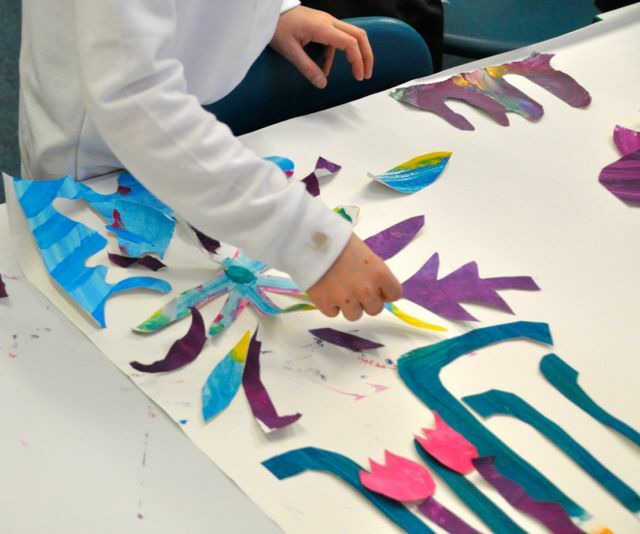 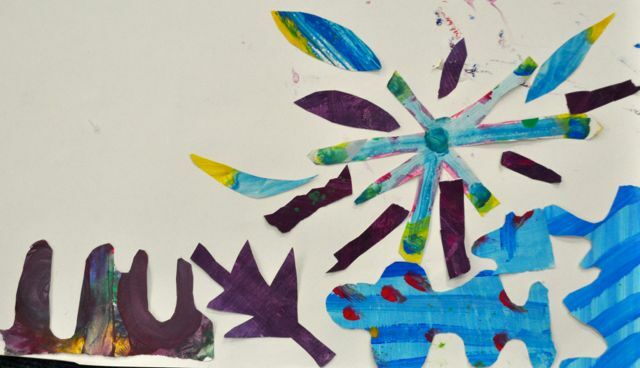 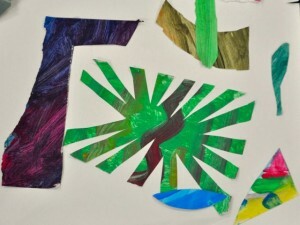 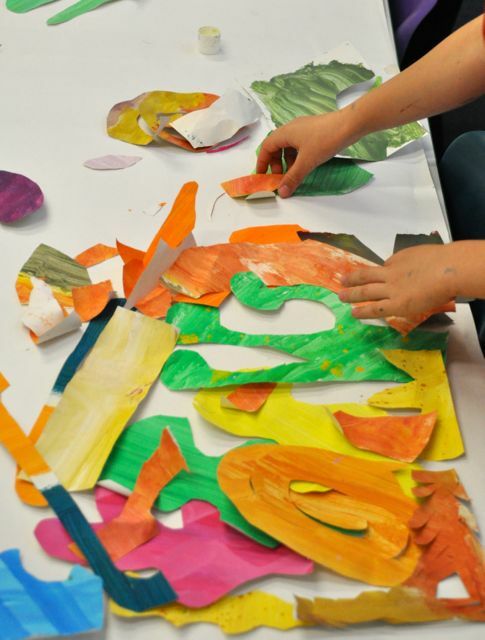 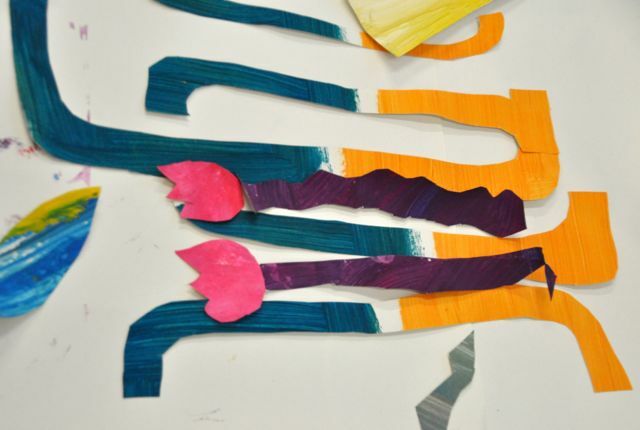 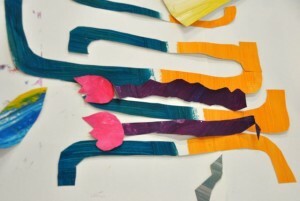 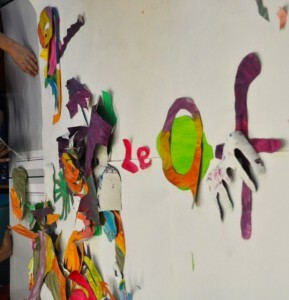 This week we watched Henri Matisse drawing with scissors and experimented with his techniques -cutting into paper that we had painted ourselves. 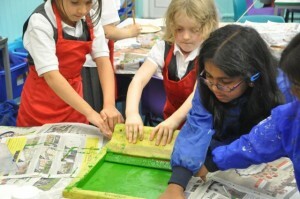 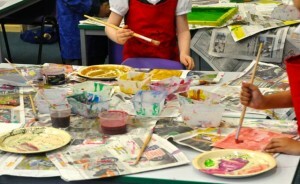 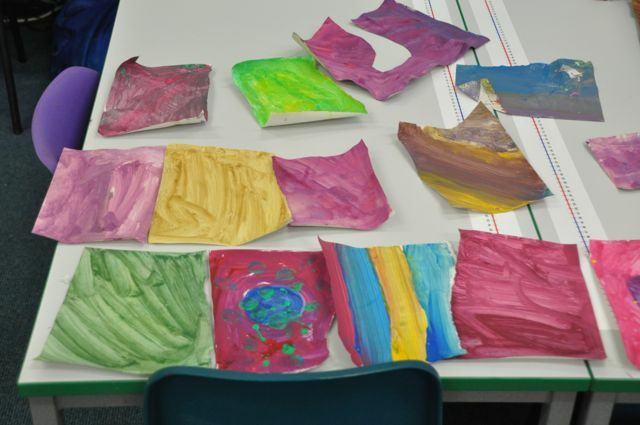 First we mixed colours and painted squares of paper. 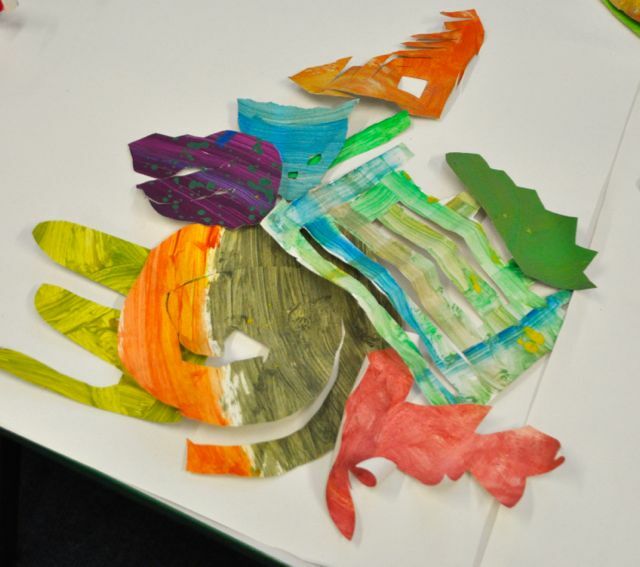 We then used our sketch books to remind us of shapes and cut directly into the paper. 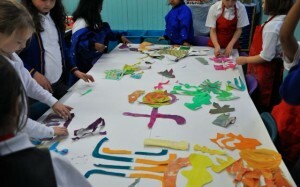 We then worked as one group on a giant piece of paper to arrange the pieces into a giant art work. It was hard to make sure we saw the picture as one piece and not lots of little art works. 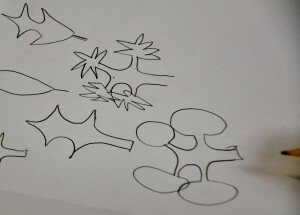 We will decide on the final arrangement next week and stick it all down.